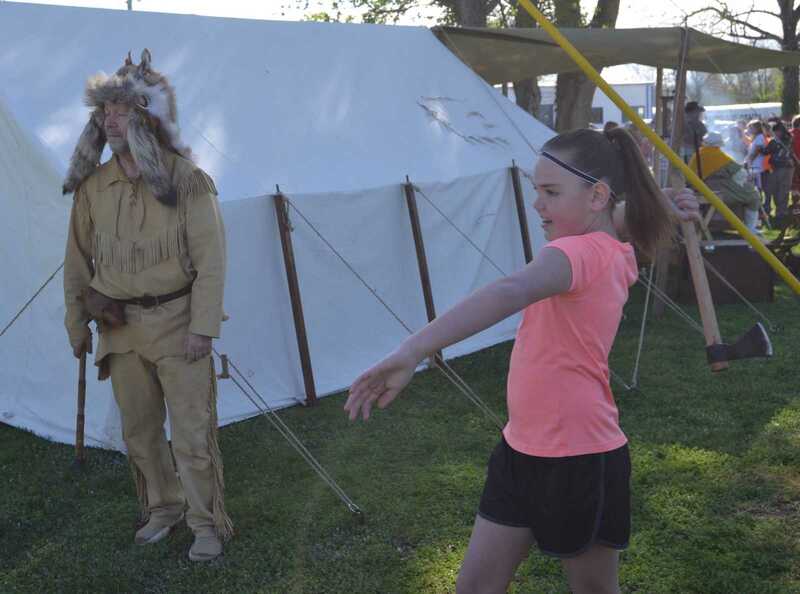 Current River Heritage Days is off and running in Downtown Doniphan. 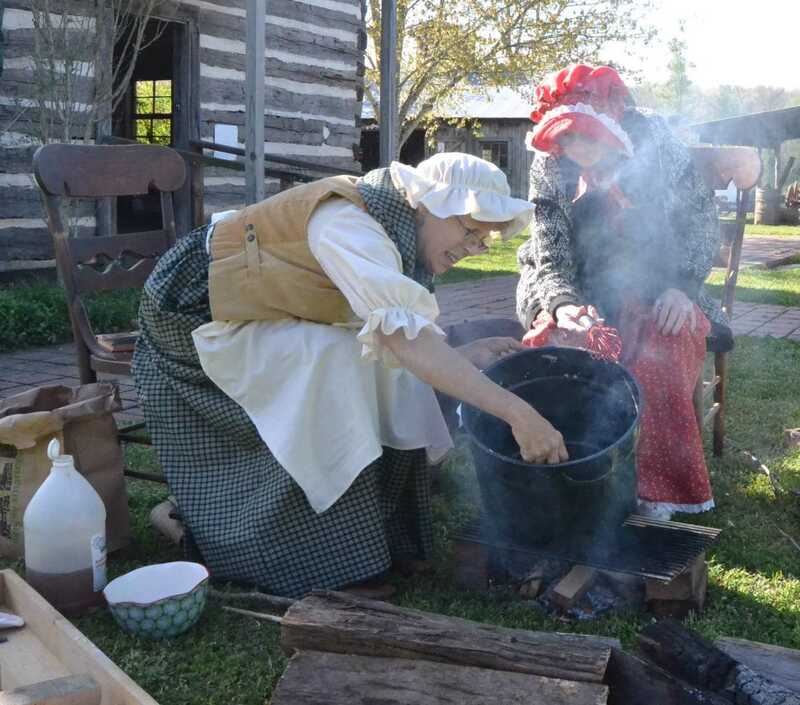 The Pioneer Heritage Homestead was the hub of early activity with visiting school groups taking in live demonstrations of pioneer skills such as soap making, butter churning, cutting cross ties, blacksmithing, sawmilling, and ax throwing as well as living histories from the U.S. Civil War and World War I. 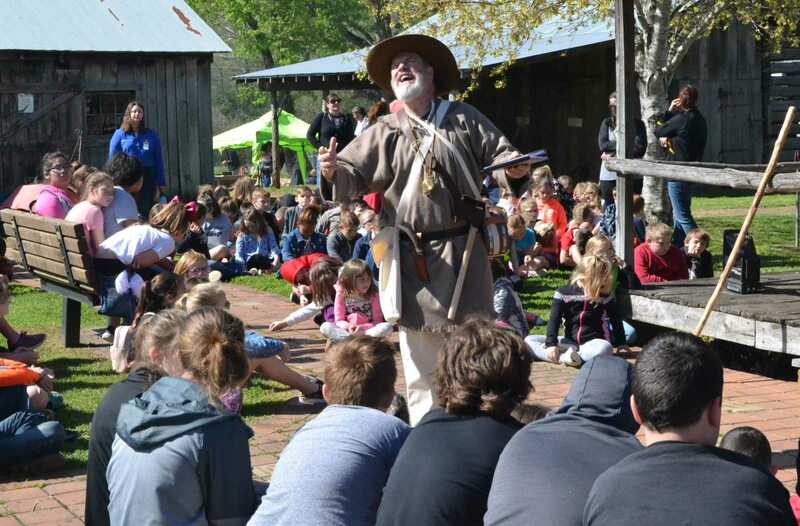 Guest speaker was Henry Schoolcraft (portrayed by Dr. Rick Mansfield), an early explorer of the Missouri and Arkansas Ozarks region. 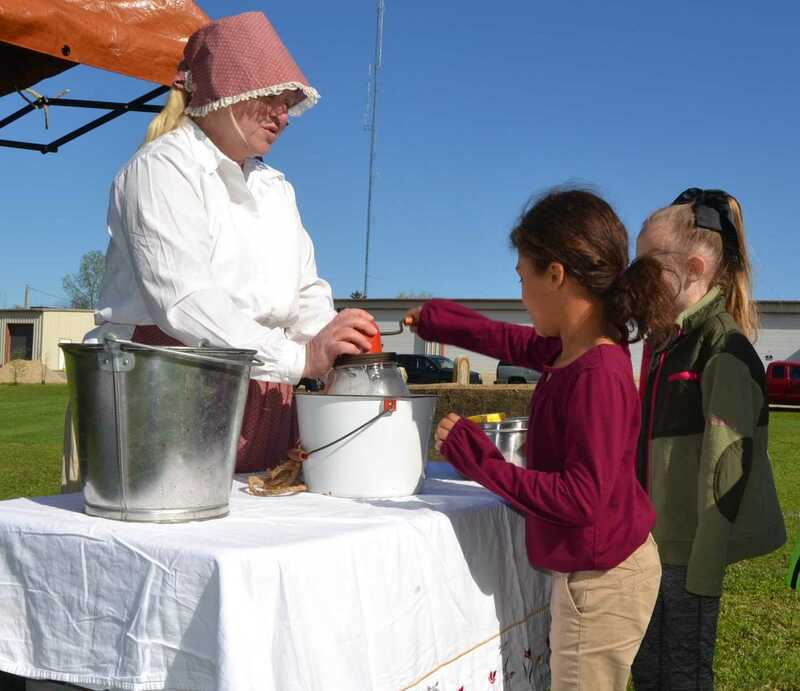 Heritage Days continues throughout Friday and all day Saturday with a full lineup of events in Downtown Doniphan. 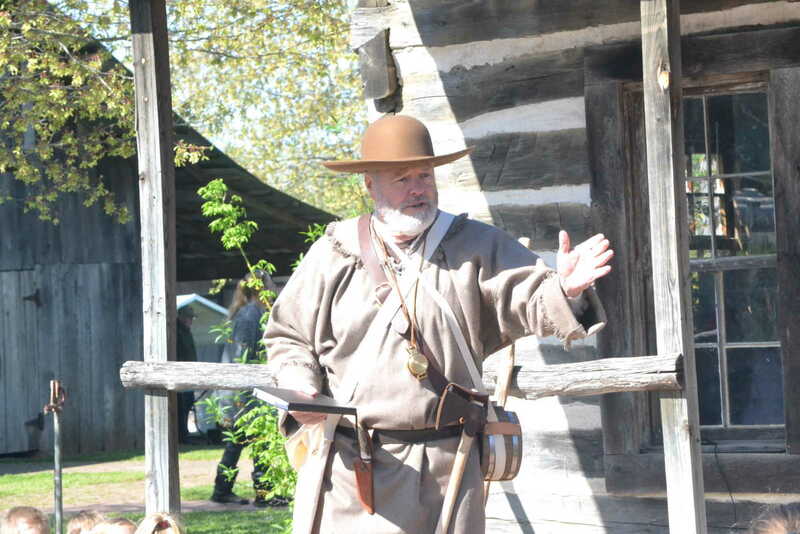 Henry Schoolcraft discusses his adventures as an Ozarks explorer in 1819. 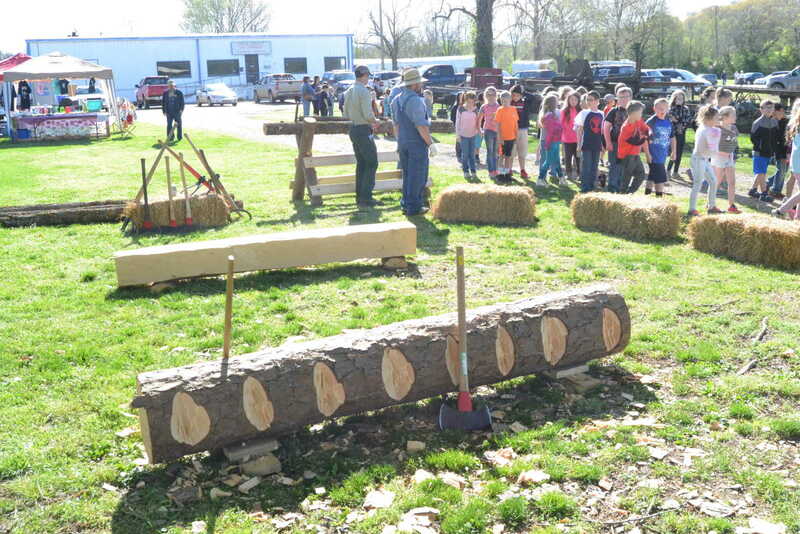 Students and adults enjoy hearing the explorer Henry Schoolcraft describe his Ozark travels. 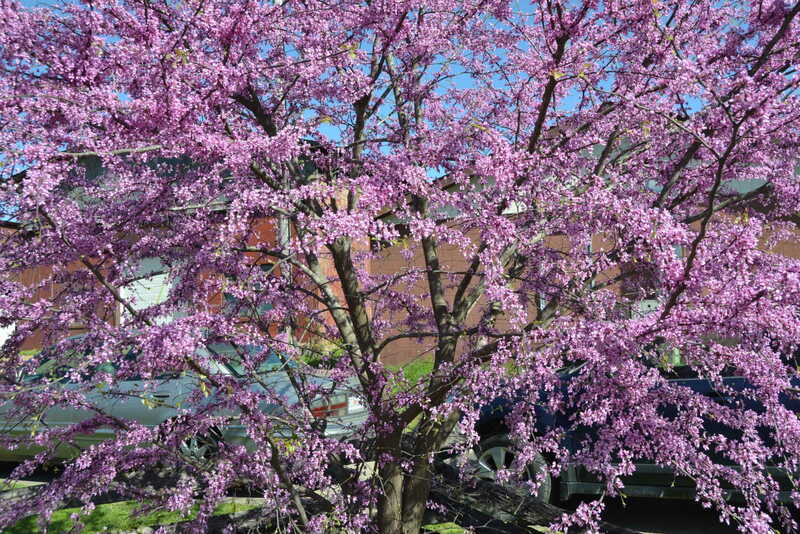 Even the tree blossoms are in fine form for Heritage Days. 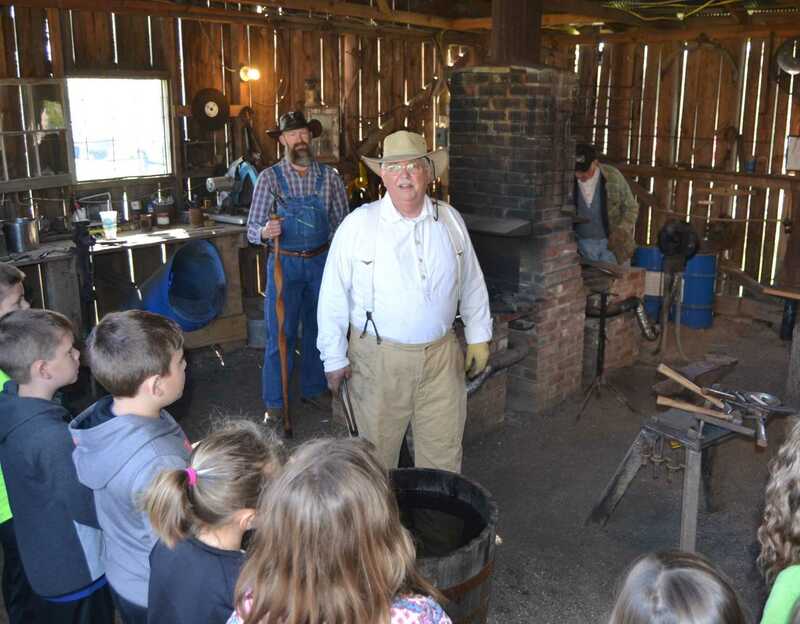 Chris Miller welcomes students to the Tom Kennon Blacksmith Shop. 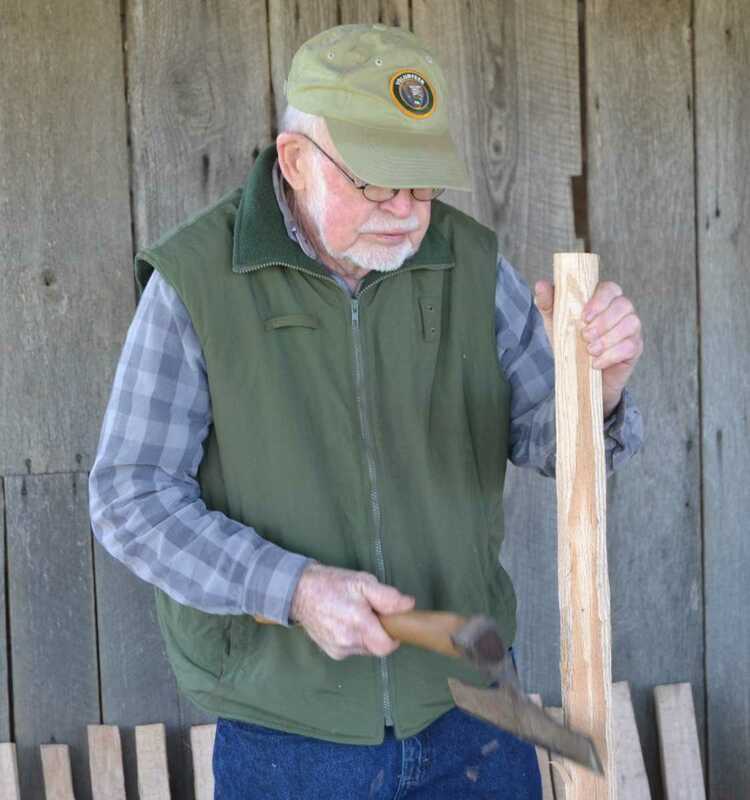 Dr. James Price demonstrates the cutting ability of ancient broadhead axes. 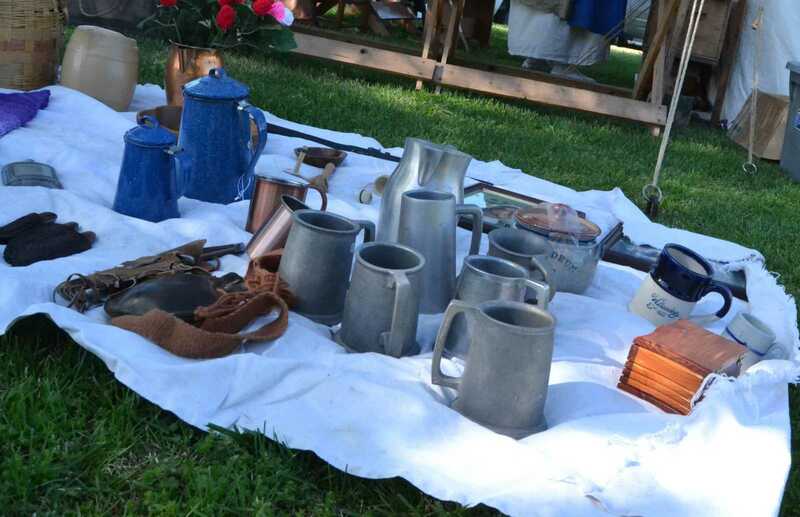 Trading items carried by early pioneers. 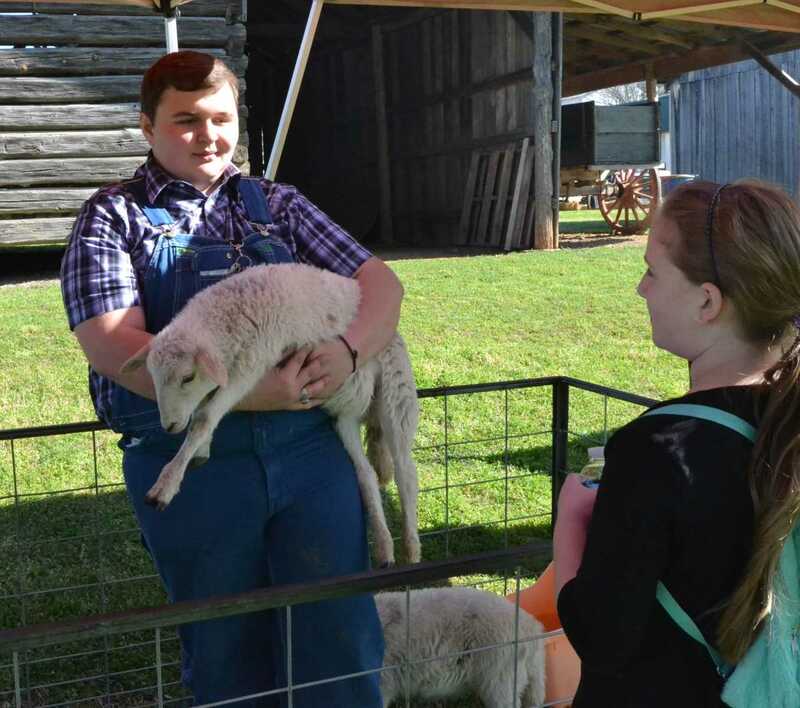 The Doniphan FFA petting zoo. 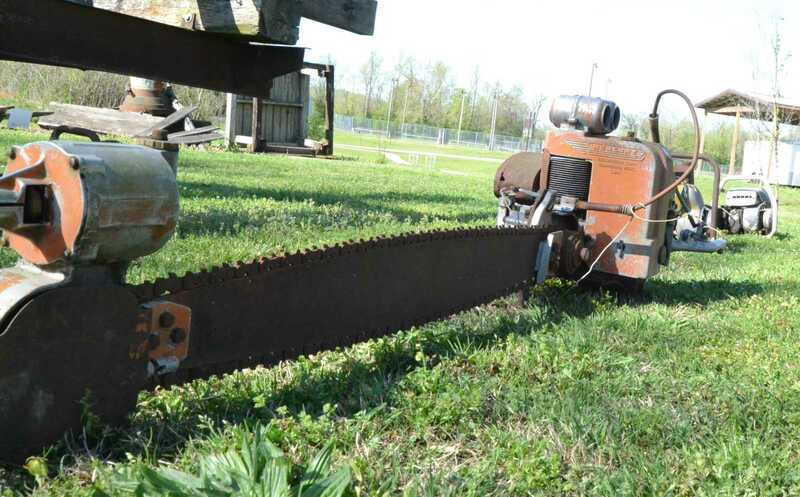 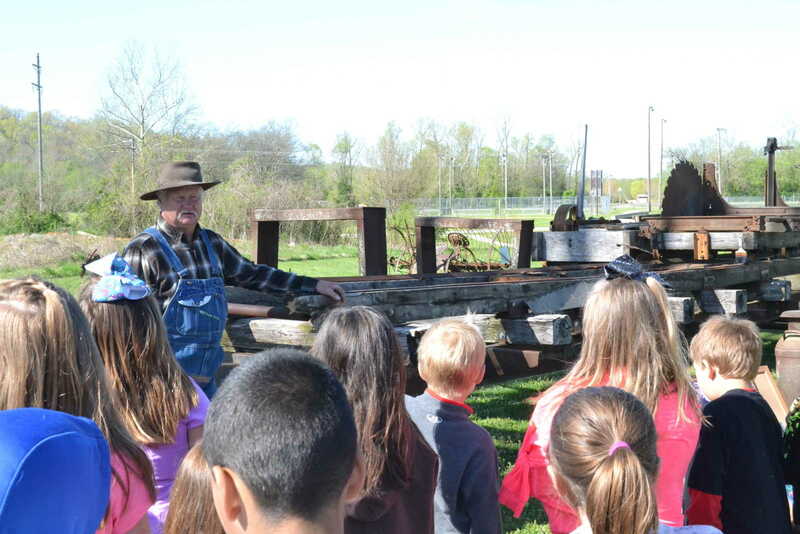 Sherman Redus tells students about the early days of sawmilling in Ripley County. 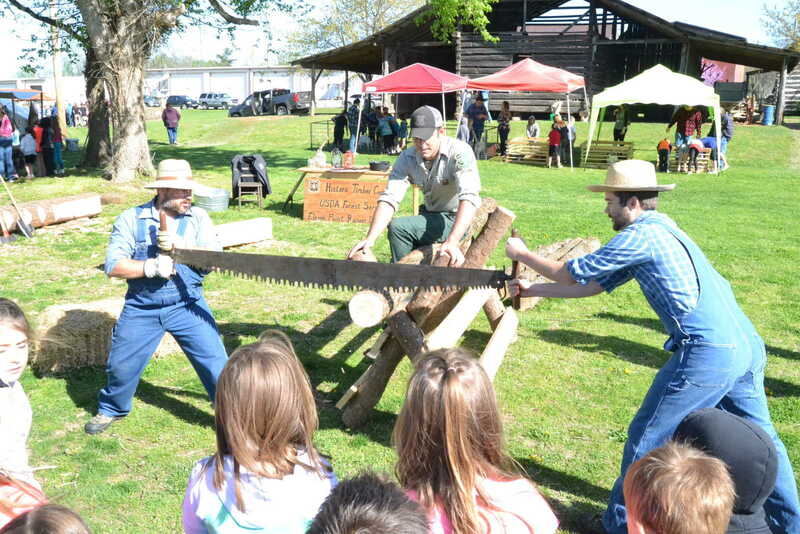 Making cross ties with an ax once was an important skill in Ripley County. 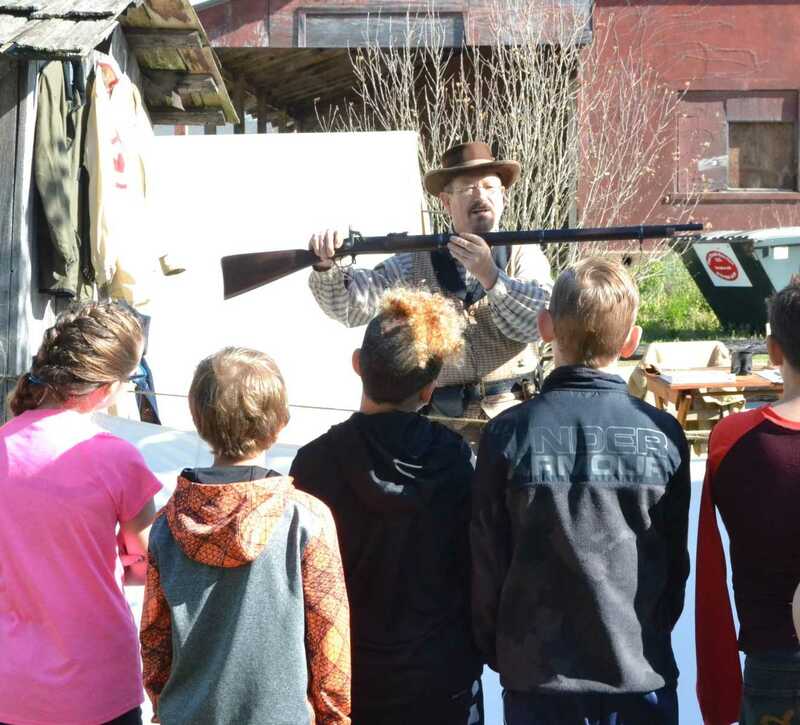 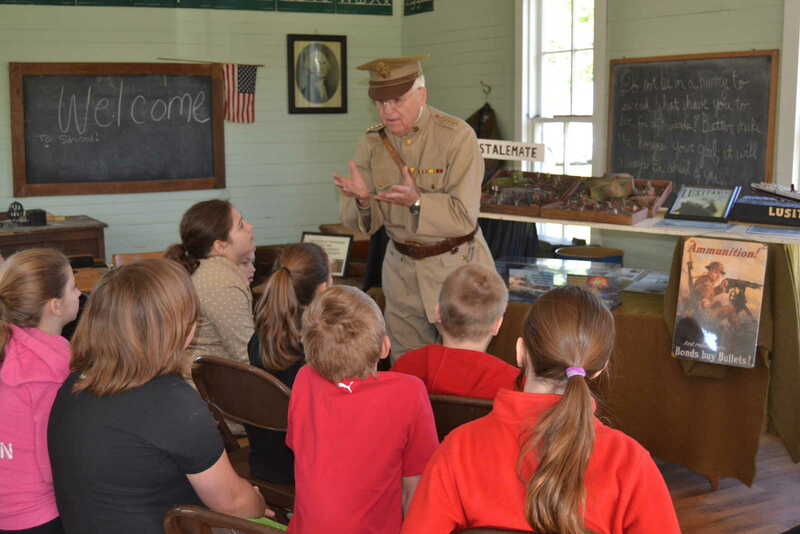 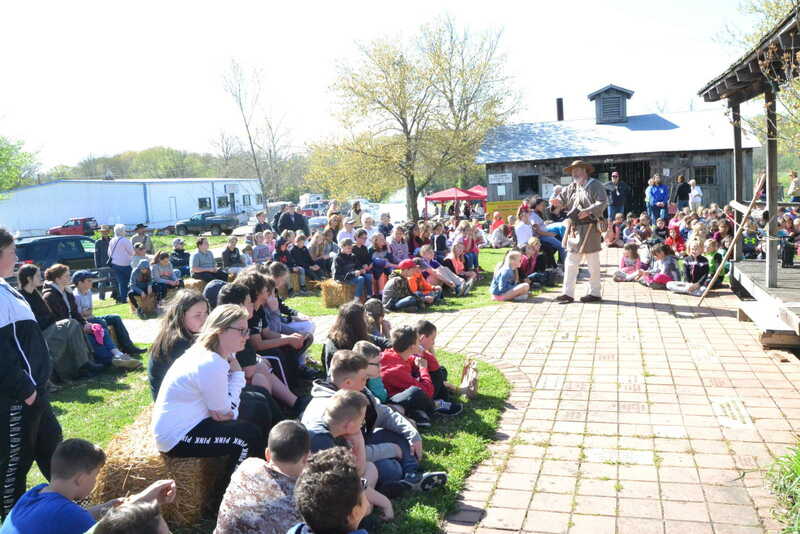 Gen. 'Blackjack' Pershing shares his experiences from World War I.
Re-enactor Dan Hill shows students a Civil War era rifle.